Super quick dish to prepare for those evenings that you have no energy to cook. 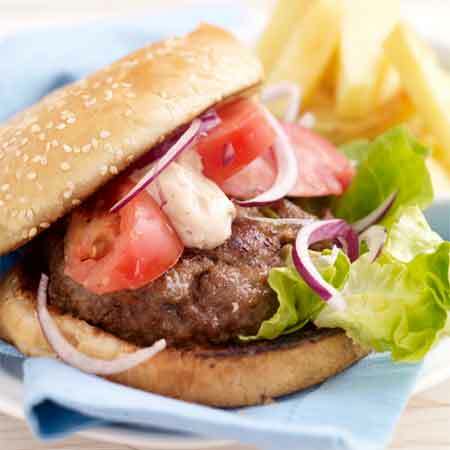 Make a burger shape with the mince. Add all the ingredients to the frying pan. Cook for approx 30 minutes.